The Twentieth Century has seen a dramatic rise in the use of probability and statistics in almost all fields of research. This has stimulated many new philosophical ideas on probability. 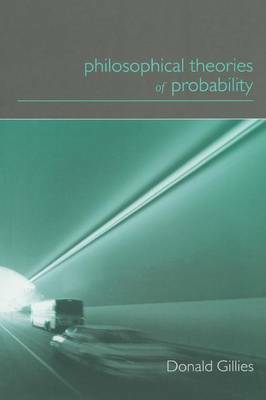 Philosophical Theories of Probability is the first book to present a clear, comprehensive and systematic account of these various theories and to explain how they relate to one another. Gillies also offers a distinctive version of the propensity theory of probability, and the intersubjective interpretation, which develops the subjective theory.